Beautiful, sparkly, shiny, gorgeous. The glamour of the Jazz Age comes alive in these stunning metallic silver Mary Janes, ready to hit the dance floor for a flapper fun night out or stop traffic in a '30s Old Hollywood evening gown. 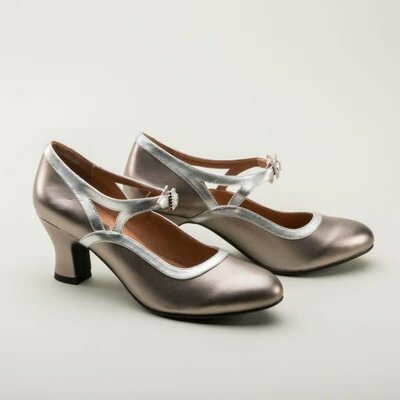 Named for Roxy Hart in the musical "Chicago," our two-tone silver Roxys are made of real leather finished in metallic, lined in leather, with a 2.5" heel and rubber outsole. 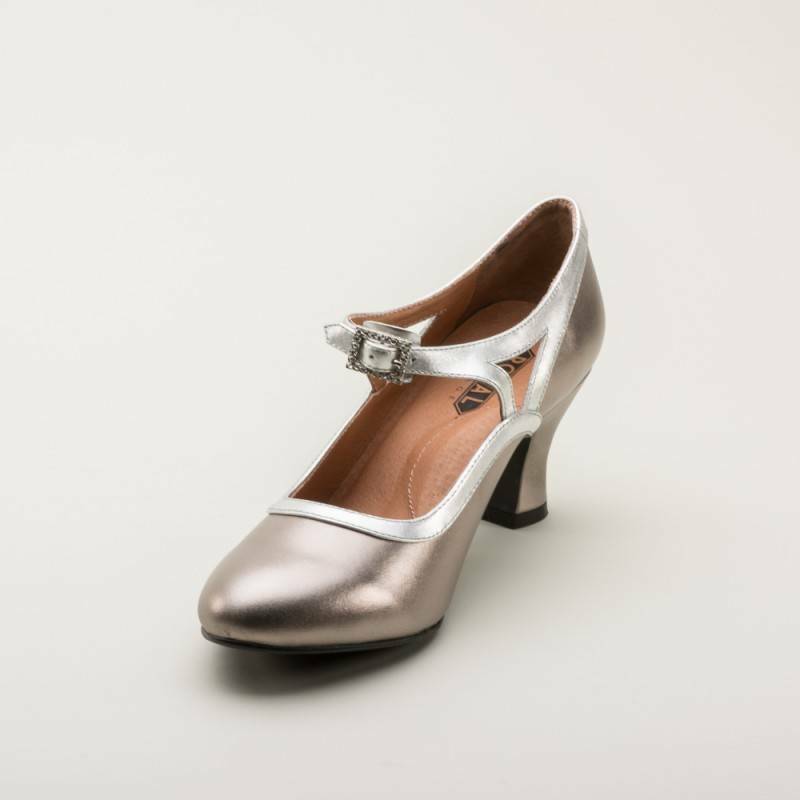 The adjustable strap closes at the front of ankle with a rectangular rhinestone-adorned buckle, just like original 1920s and '30s designs.